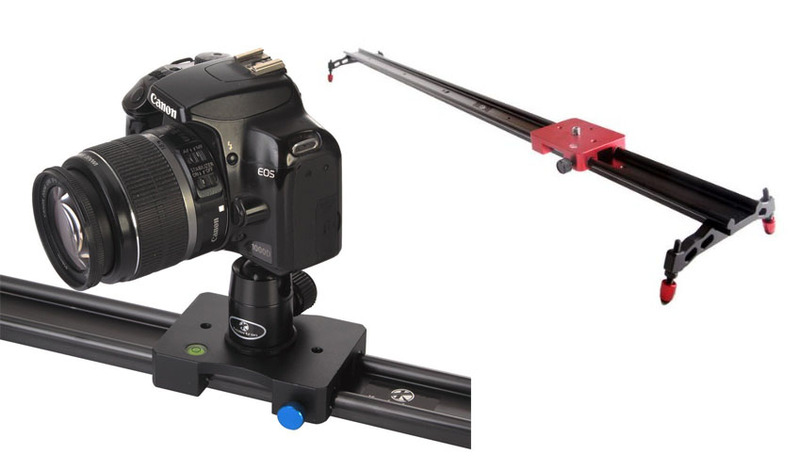 If you are looking for a video camera slider, look no further! The Koolertron Video Camera Slider Range is a very solid piece of equipment. It looks stylish with a sharp looking colours and a set of wheels which allow the slider to roll along the floor. This video slider also comes with feet which drop below the wheels and allow it to be stable while stationary. Overall the video slider is a professional looking piece of kit that will impress your clients! The video slider can be mounted directly onto a tripod. It can also work from the ground or any flat surface. It works great with a tripod head mounted with a quick plate. The wheels function nicely on a smooth service allowing you to take some smooth rolling footage. The slider itself comes with a piece which allows you to vary the speed of the slide. The motion itself is really smooth and is a delight to use. The plate glides very easily and really gives the type of smooth motion I was hoping for prior to purchasing. The 120cm Koolertron Video Slider is only £90 ($199) + shipping which is great value for money, it means that even a low budget beginner can add great dynamic motion to your videos. I have watched a lot of DIY videos on YouTube, where experts make one of these for a third of the price. But when you are talking about such small figures, then why waste your time? Get onto Amazon and make yourself one extremely happy videographer. This is my first purchase of a video slider so I don’t have much to compare it to. All I know is that the range of shots I can now create in a shoot has increased dramatically. When I try other ones out I will update this review. If you enjoyed this review, you may like to read a review on the Sony Vaio E-Series Laptop or watch my video review of the Rode Video Mic Pro.